As we all prepare to commemorate our country’s Independence Day, what better way to celebrate it than feasting on our own culinary delights. 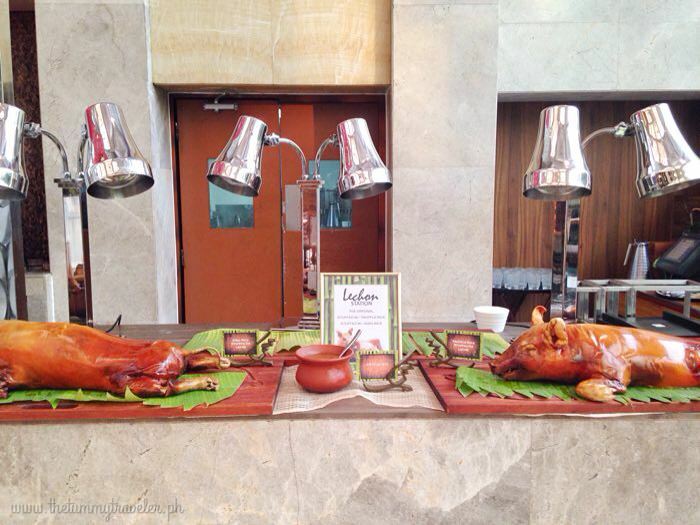 Diamond Hotel Philippines’ Corniche restaurant buffet presents Feasts from the Filipino Kitchen from June 3-14, 2015. Feasts from the Filipino Kitchen at Corniche will feature the Filipino pride and famous Philippine Lechon prepared by no less than Dedet dela Fuente Santos of Pepita’s Kitchen. Dedet dela Fuente Santos, or the Lechon Diva as we call her, is a homegrown culinary personality that takes pride in her stuffed lechon and other well loved Filipino dishes. 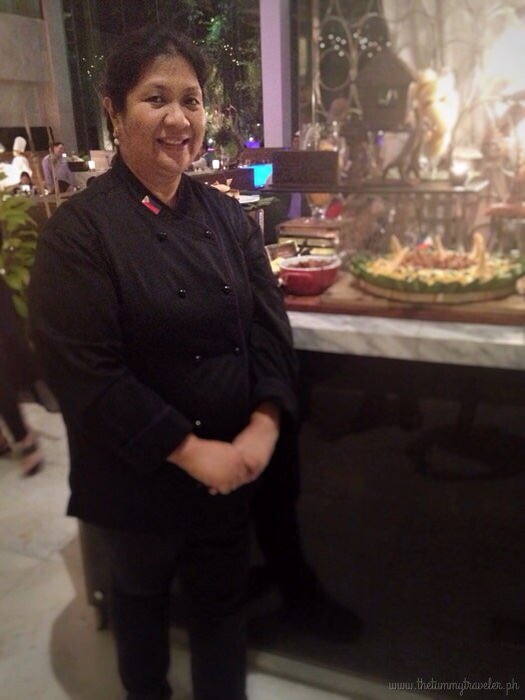 Her fantastic dishes have truly taken Manila and abroad by storm… from her very own private dining sessions held at her home, all the way to Singapore and New York; from 2 lechon stuffings when she was just starting out, to an astounding 19 stuffings. And now, she invades Corniche by way of Feasts from the Filipino Kitchen! 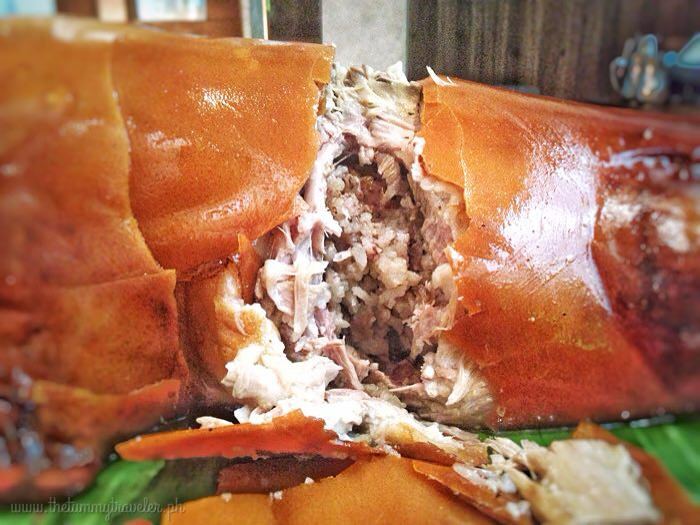 The buffet spread of Feasts from the Filipino Kitchen at Corniche will offer flavourful lechon de leche variations: Original, stuffed with Truffle Rice and stuffed with Sisig Rice. Experience another local gastronomic journey at Feasts from the Filipino Kitchen at Corniche as you savor each crispy skin and flavorful meat of the stuffed lechon. 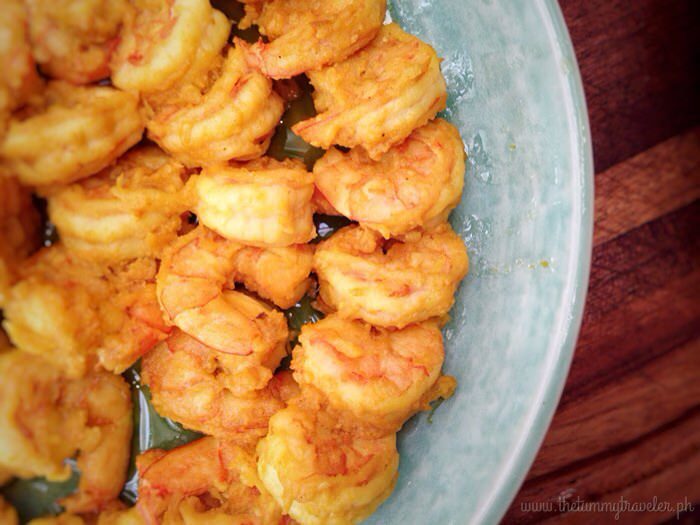 Prepare your tummy for an assortment of Filipino fare that will blow your mind. 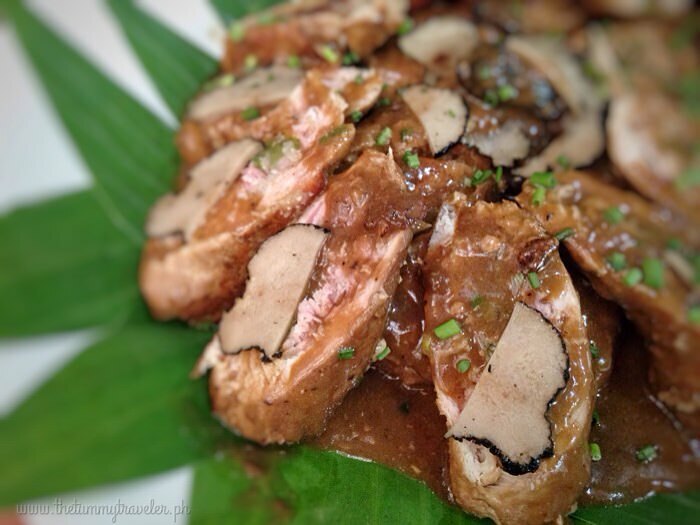 Even Filipino dishes that are prepared with a twist will truly impress you. Lechon Tenderloin filled with sauerkraut, pickled cucumber in Morel Sauce served with Red Beet Potatoes and Black Truffle by Chef Marko. How about this familiar comfort dish which has been pleasantly changed up and given an incredible upgrade – Goto with Foie Gras! Care for some Bone Marrow with Ox Tail Marmalade? Another sinful yet crazily delicious dish at Feasts from the Filipino Kitchen at Corniche. I want mine hot and a little charred so I requested that my Bone Marrow be grilled again. By the way, I had 3 of these! 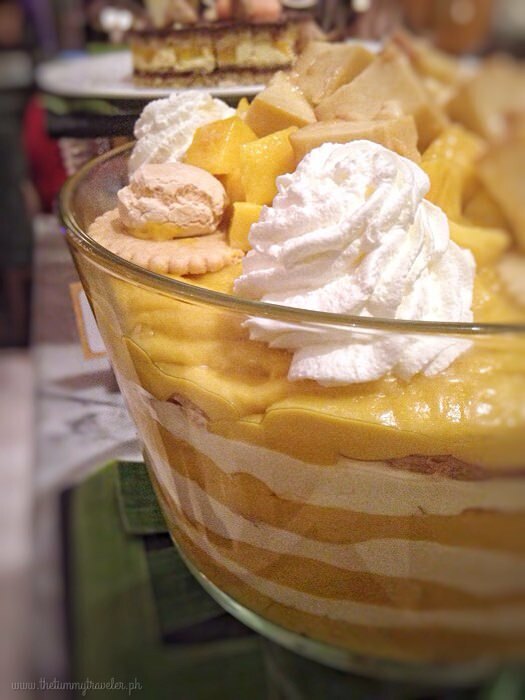 To cap off our very sinful, unforgettable and tummy-filling dinner, Dedet dela Fuente Santos’ Super Suman and Mango Trifle were an absolute hit too! 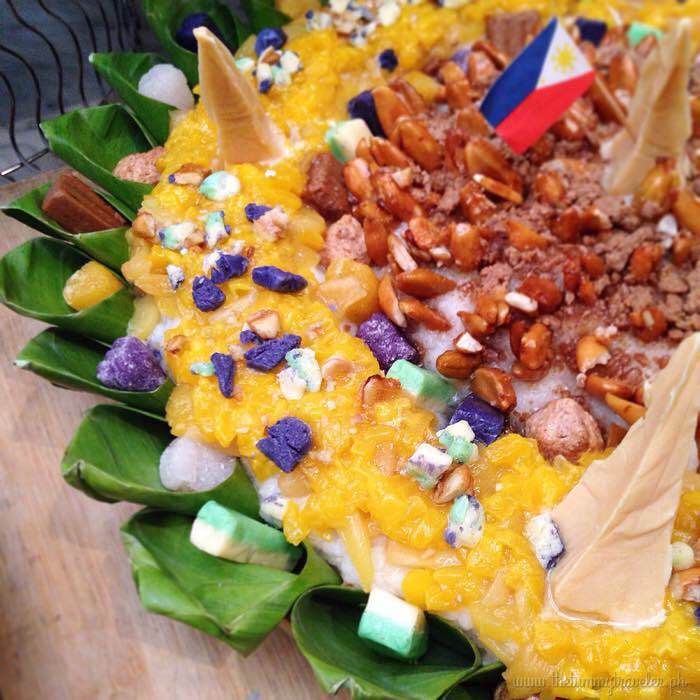 The Super Suman which was included in the Best Desserts of 2013 by the Philippine Inquirer was every bit colorful and sweet. Sticky Rice, Yema, Chocnut, Glazed Pili Nuts, Macapuno Balls, Langka, Pastillas, Mango, Peanut Kisses all in one delicious extravaganza! No doubt, one helluva dessert! But this Mango Trifle was a real head turner. Nobody dared to touch it at first because it seemed too pretty to ruin eat… but it eventually made its way into everyone’s tummy. How could it not? Mango mousseline with layers of otap, broas, puto seko, rosquillos, topped with leche flan and fresh mango bits. 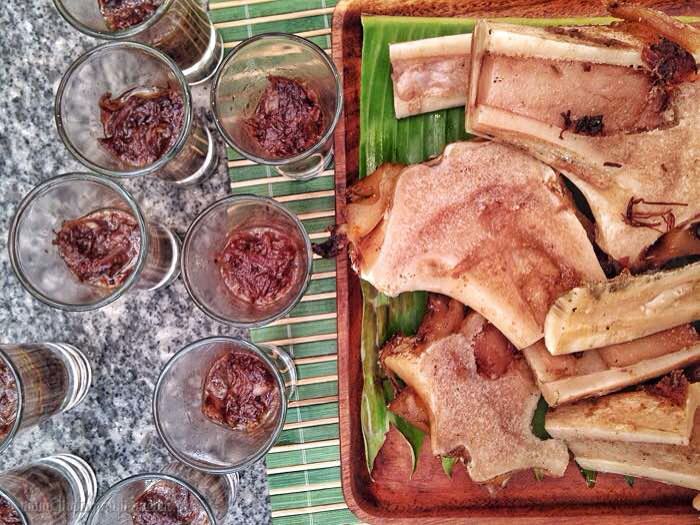 Now you know why Filipino dishes are fast making a mark in the global epicurean scene. Each dish is painstakingly and carefully made and well thought out. 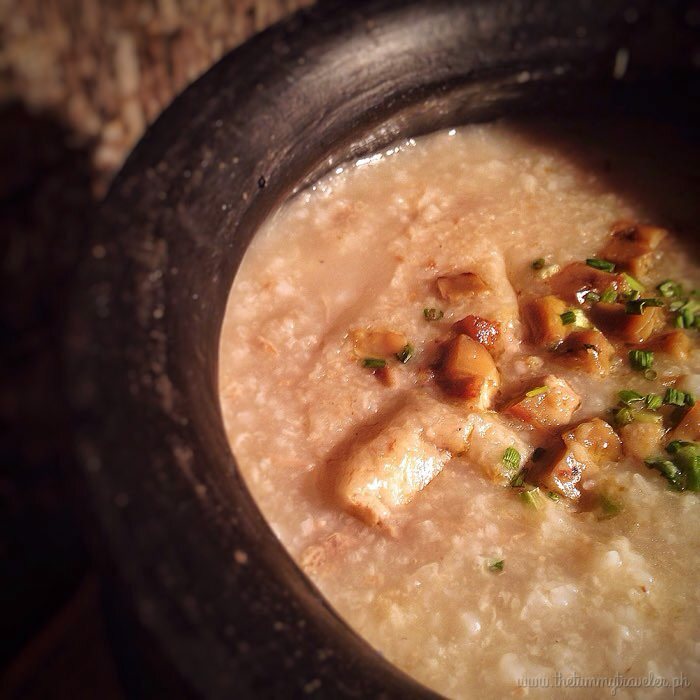 This collaboration of the culinary team of Diamond Hotel and Dedet dela Fuente Santos for Feasts from the Filipino Kitchen at Corniche will run from June 3-14, 2015. 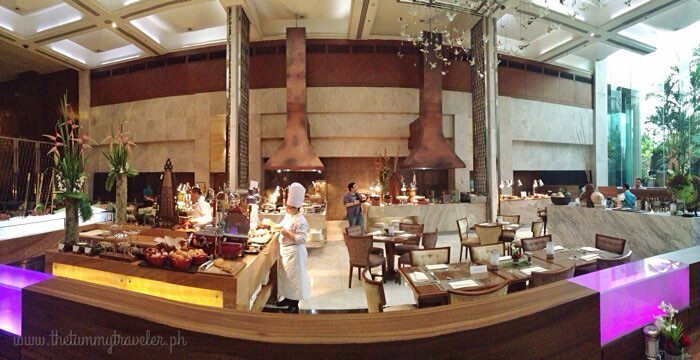 Lunch buffet is at Php 2,150 nett per person while dinner buffet is at Php 2,550 nett per person. So, go ahead! You only live once… so, make sure every second counts. 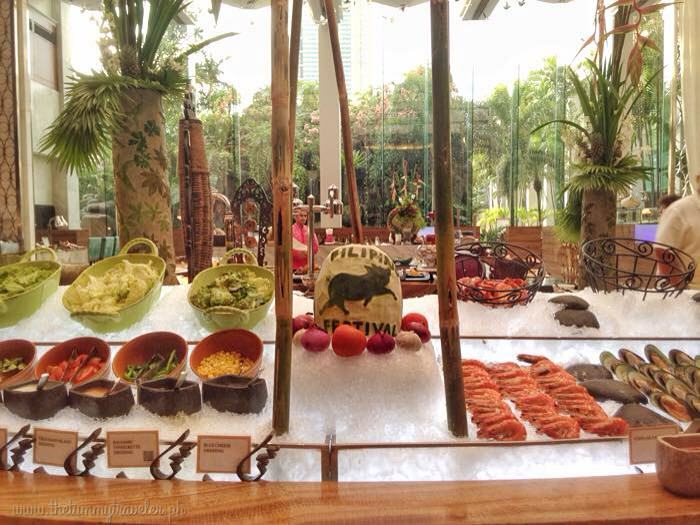 Discover more of the Philippines by exploring the Feasts from the Filipino Kitchen at Corniche! Roxas Boulevard corner Dr. J. Quintos Street, Manila.